I’ve been very lucky in the last few years to have experienced a lot of amazing cars in a variety of different places in the world. 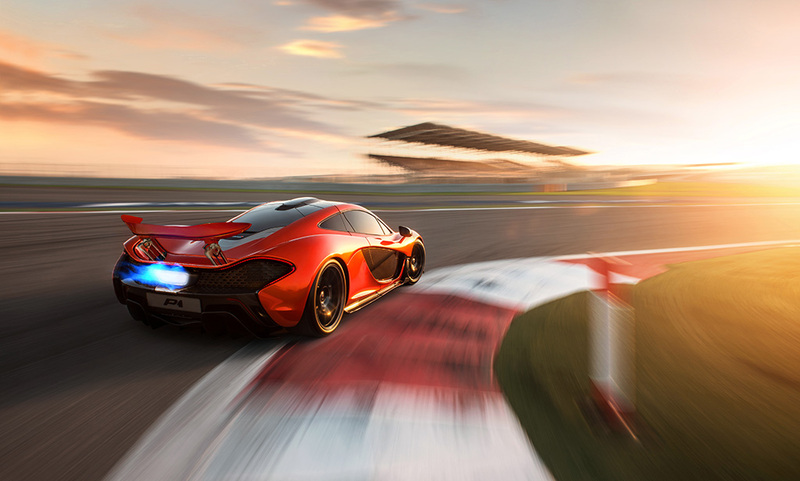 I absolutely love supercars and in the case of this blog post, hypercars. 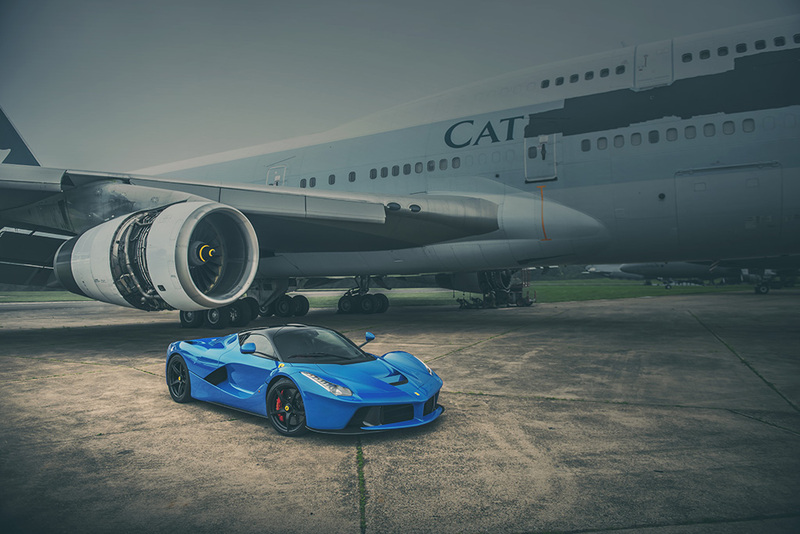 I won’t go into trying to defining what is a supercar and what is a hypercar, this post will purely be talking about my experiences in each car and my thoughts on each. I’ll then try to clear up my thoughts at the end! 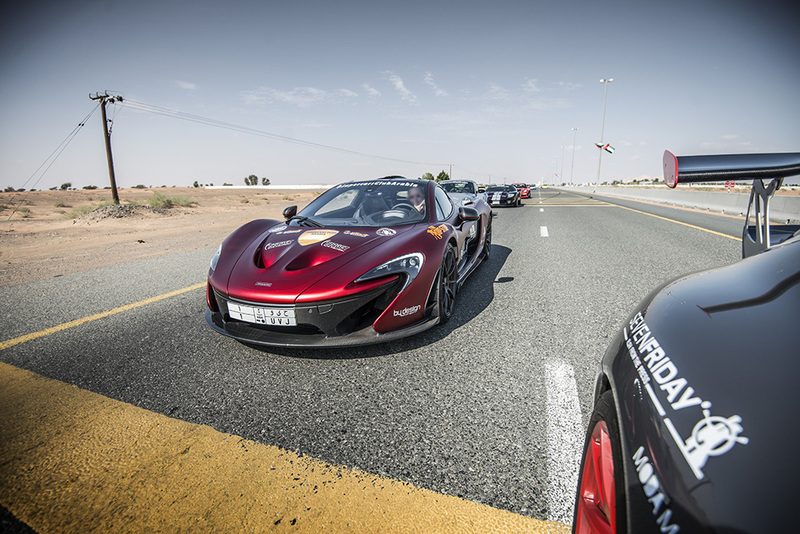 The P1 was the first Hypercar I got to experience, shooting the prototype in Bahrain in 2013. Of course this car was just a rolling shell so no chance to hear it or experience it in motion. Thanks to my rig I managed to make it look like it was working though! When I first saw the car in person as we walked into the garage in Bahrain I was totally taken aback. This was still at a time where the car had only been shown to the public at Paris. Out in the open and on your own it’s very special to see! 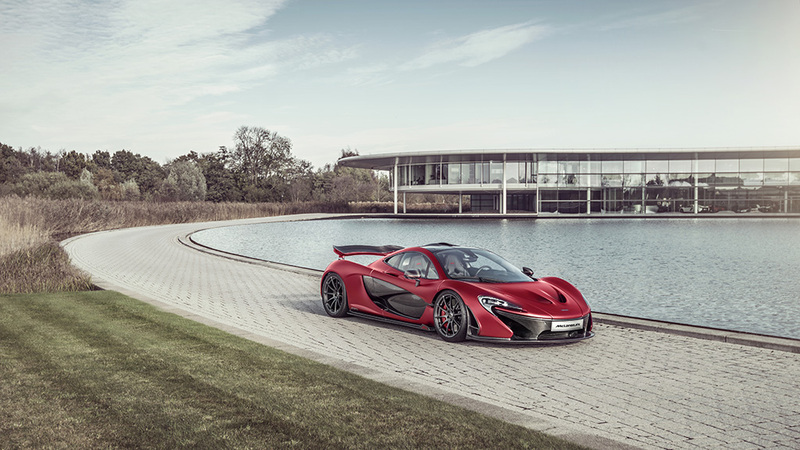 I’ll move on to my first experience of a production P1. 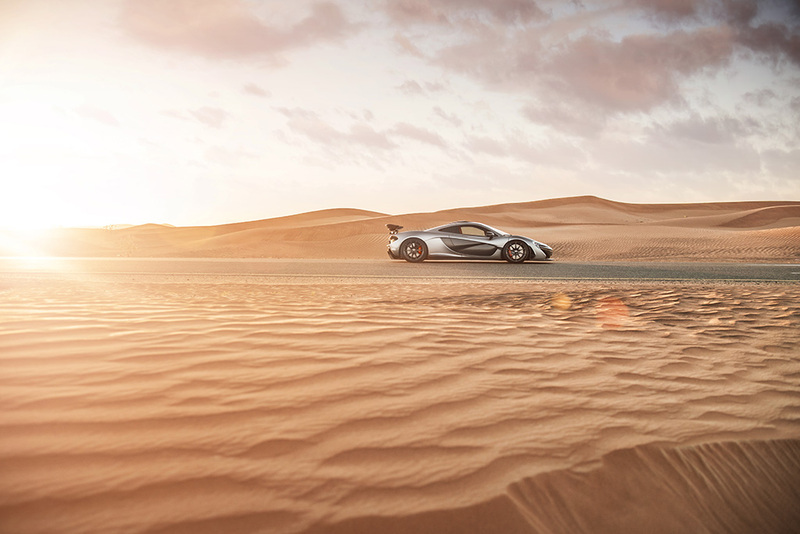 The private owner flew me out to Dubai to shoot the car for him, but last minute (after I’d arrived!) 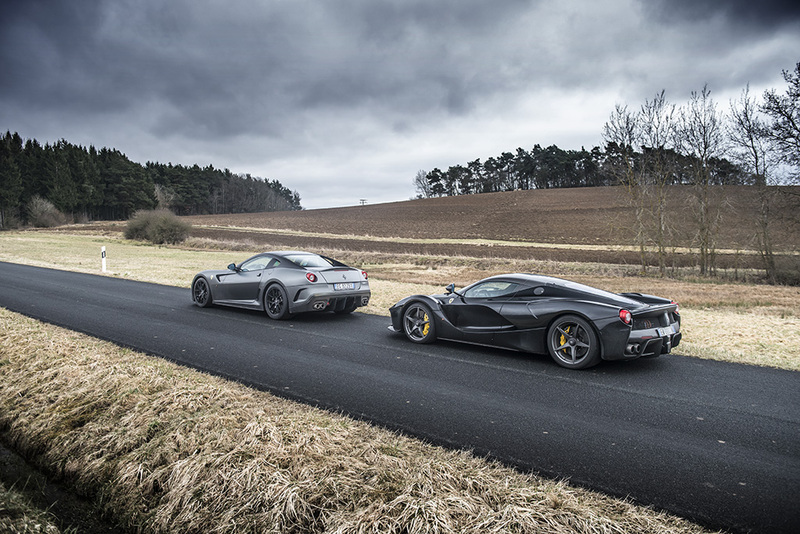 he couldn’t make it which meant that we had to do the whole trip with the P1 being transported and as little driving of the P1 as possible. 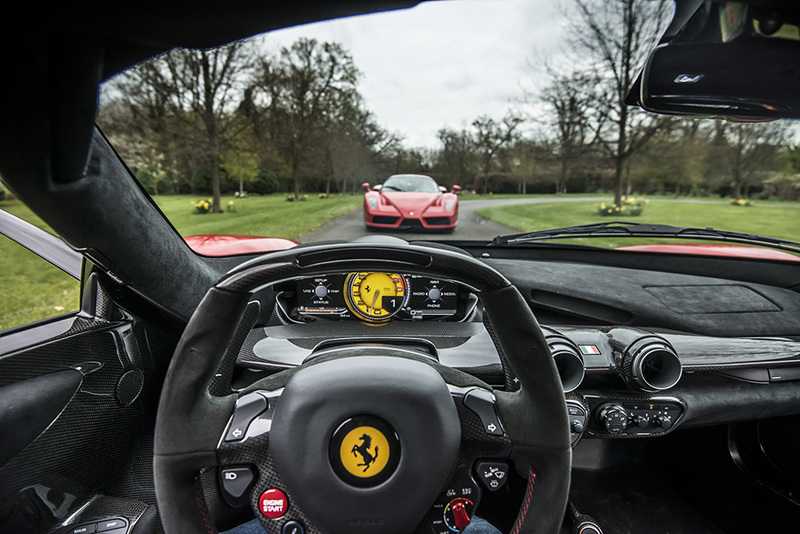 So from a photographic point of view this was a very very special shoot for me, but from the car enthusiast side of me I was dying to experience this very special car! 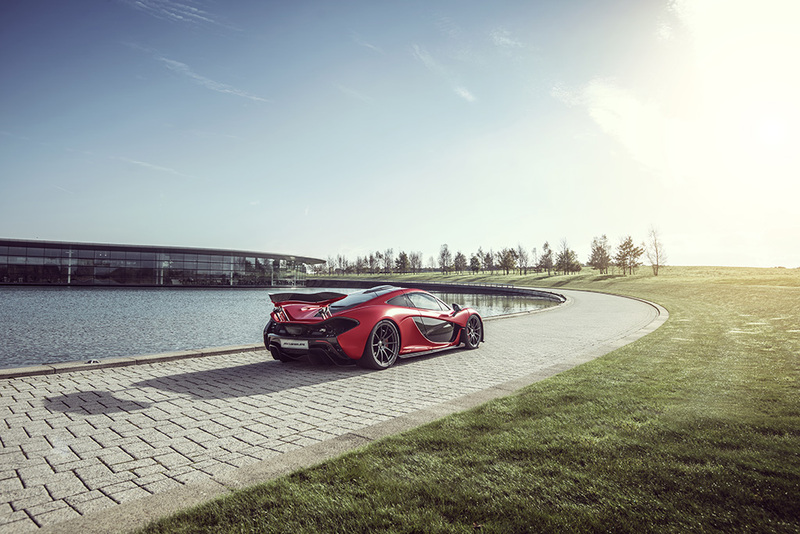 Next shoot was of this lovely MSO car in Volcanic Red at McLaren HQ. Still no chance of driving or riding in the car, but the car was still just a work of art! 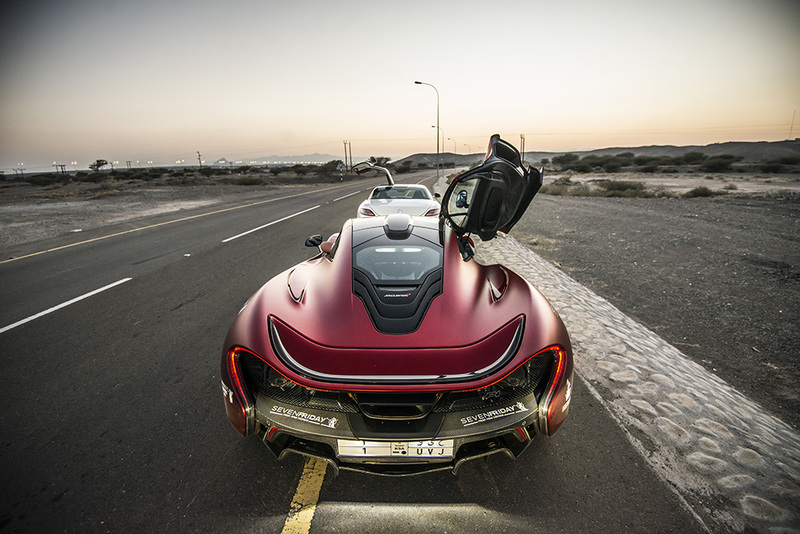 Fast forward to December 2014, I got invited by the owner of this red P1 to join him on the Desert Run which went from Dubai to Oman and back to Dubai. About 500km to experience the car! 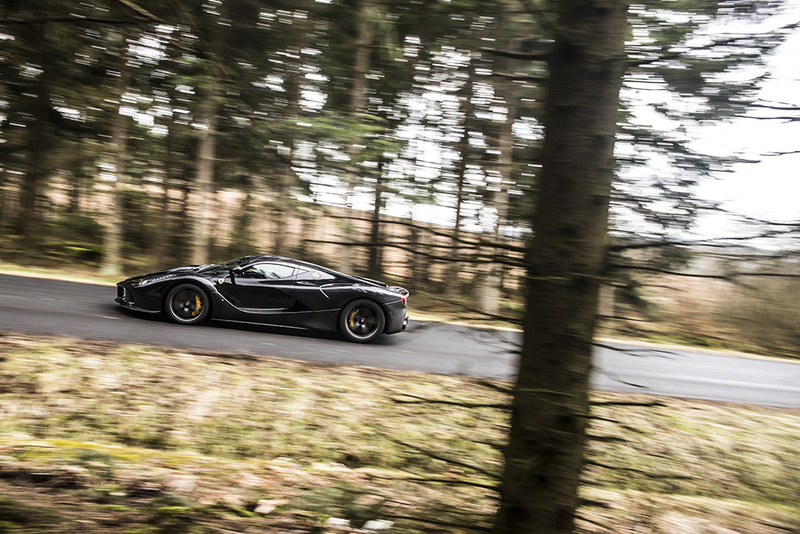 A few thoughts: It’s very very very fast. It’s not really a great car for long distance driving, I found the seats uncomfortable and it was very still and noisy. The electric mode was very cool and surprisingly fast and you feel like a celebrity when in the car (or a goldfish, depends which way you look it it). The car gets a LOT of attention! 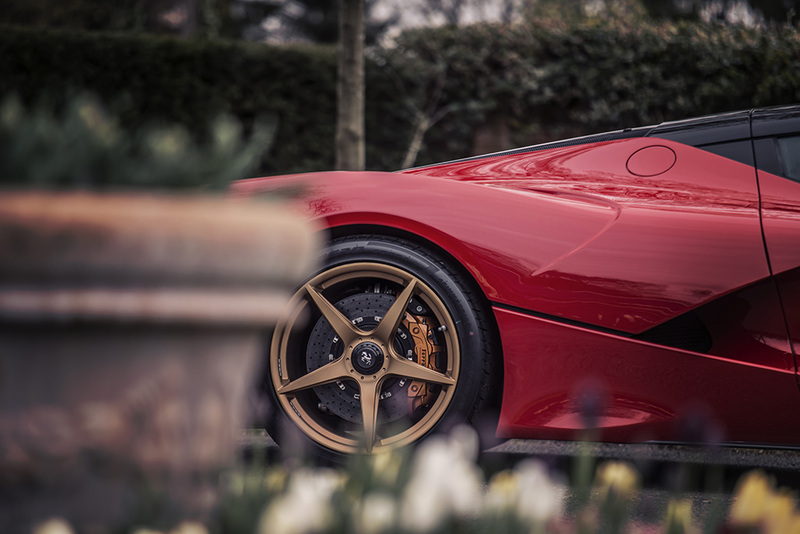 I’ve been lucky enough to shoot 4 different LaFerraris now and every time I see one I’m absolutely blown away. The looks to me are the best out of all the cars on this blog post, although of course this is a personal thing. 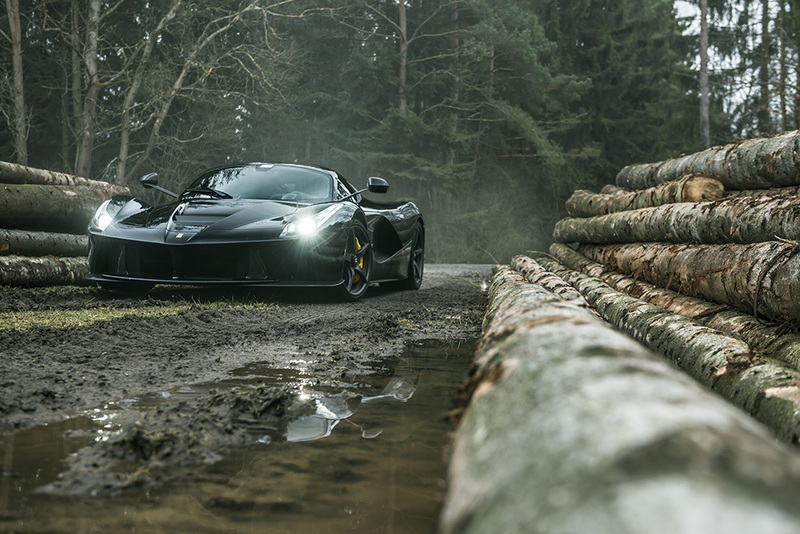 I’ll start with my first experience of shooting a LaFerrari, which was a very very quick shoot at VMax. The car of course was red, not blue, but it was enjoyable to see the reactions of the internet when they saw photo of this blue one! Unfortunately I didn’t get a ride in the car, but I can tell you from seeing the owner driving the car that it looked very very composed when he was pushing it. I’ve also never seen a car stop like it, he stopped from about 130mph to a full stop to do my photos! 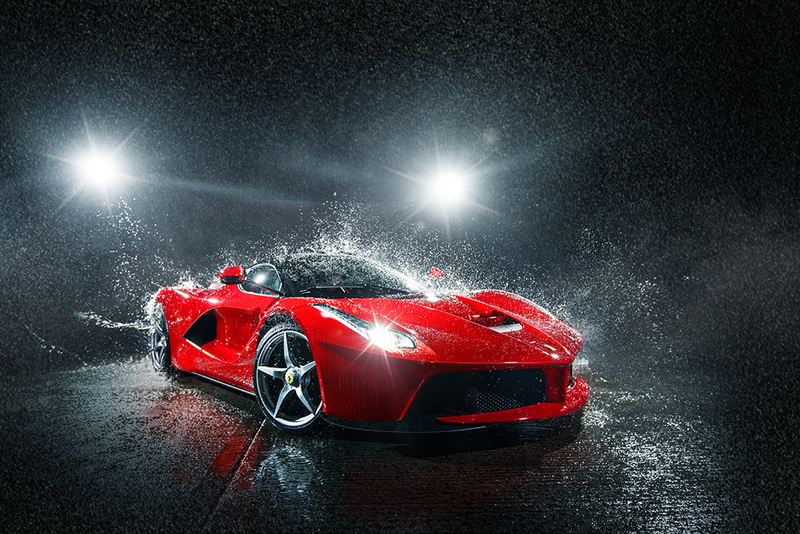 Next up was a shoot for Miracle Detail of a LaFerrari he was detailing. This allowed me to get up close with the car and appreciate the detail on it and the beauty of the engineering. It really is special! The next day I was lucky enough to get a committed half a lap of the ring before a brake pad wear sensor triggered and we had to slow down. In this half a lap my internals were rearranged and my mind was blown as to what kind of grip and traction was possible from a RWD car on road tyres. It didn’t seem to struggle for traction at all meaning he could get on the power hard coming out of the corners. I think we were on track for a very very fast lap but it wasn’t meant to be that day. I guess we’ll have to go back! 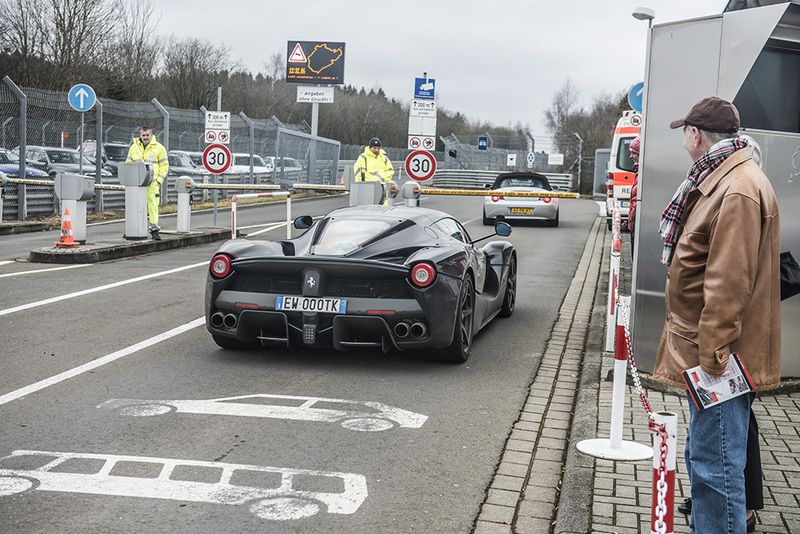 Next up with the LaFerrari was actually yesterday and was a chance to see the LaFerrari next to the Enzo. 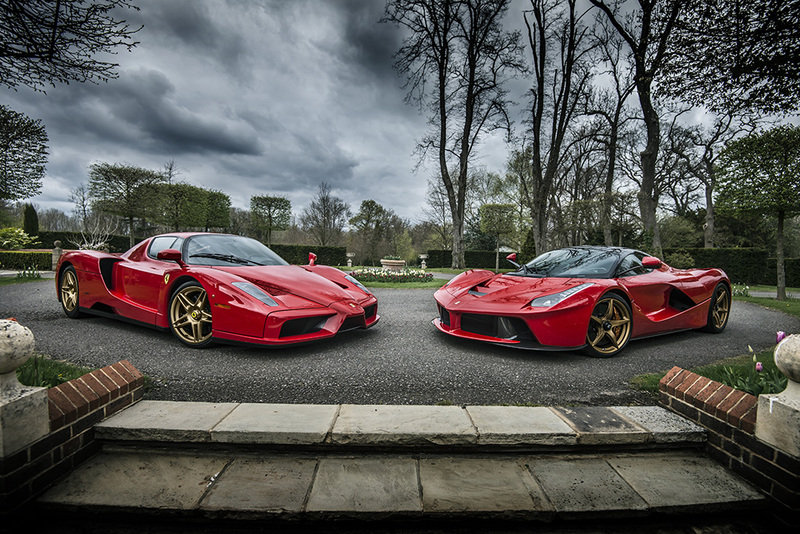 It’s amazing how the LaFerrari makes the Enzo look like such an old car now. 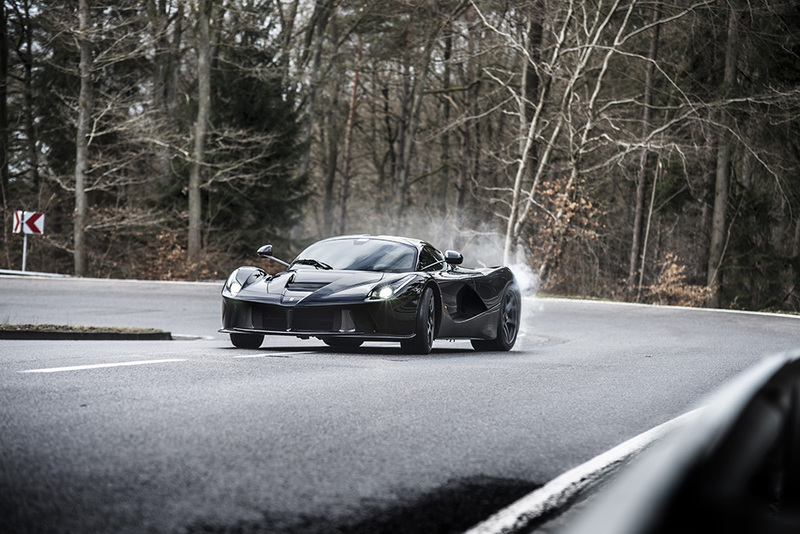 I’m definitely someone who prefers the LaFerrari over the Enzo, it looks so space age and is so much easier to drive. The biggest difference in reality being the gearbox. 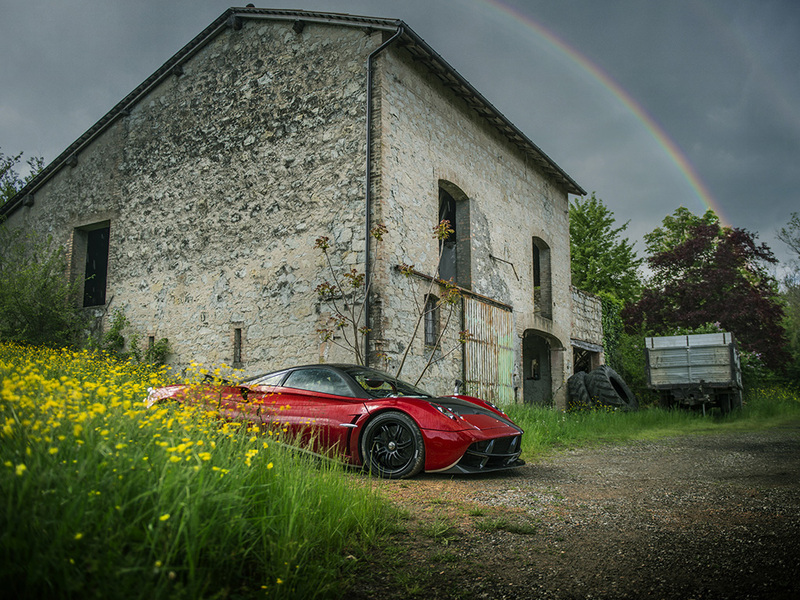 Interesting how the Enzo has wind up windows and tries to save weight in every way while the LaFerrari has electric windows, satnav, speakers etc. I first saw this car in the factory in Germany. 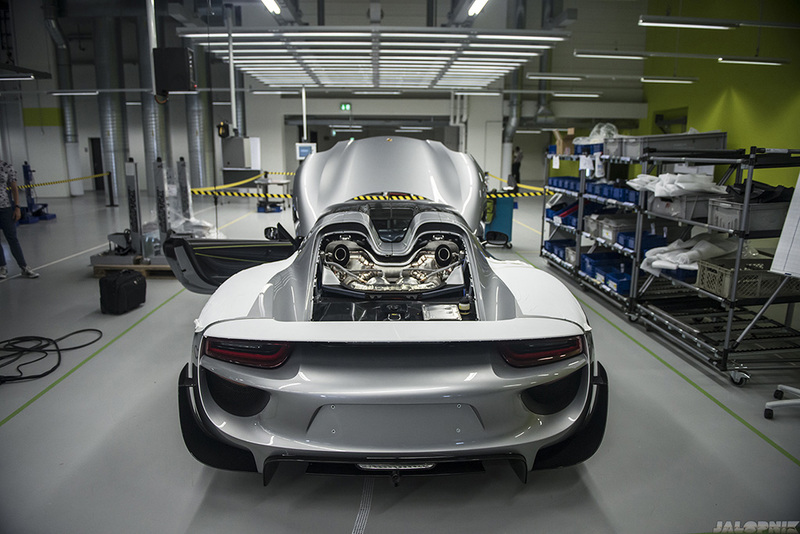 We went for a tour of the 911 production facility and while we were there we got asked if we’d like to see where they build the 918. It was fascinating to see them in various states of build and have the technology they’re using explained to us. 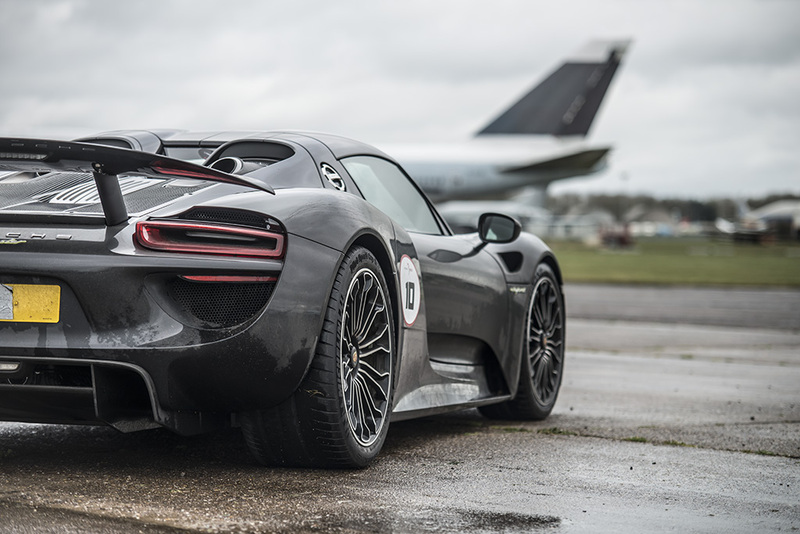 It then came to VMax again this year and a lucky owner I knew had got his 918! He offered to take me for a few runs in it, including demonstrating how good launch control is. 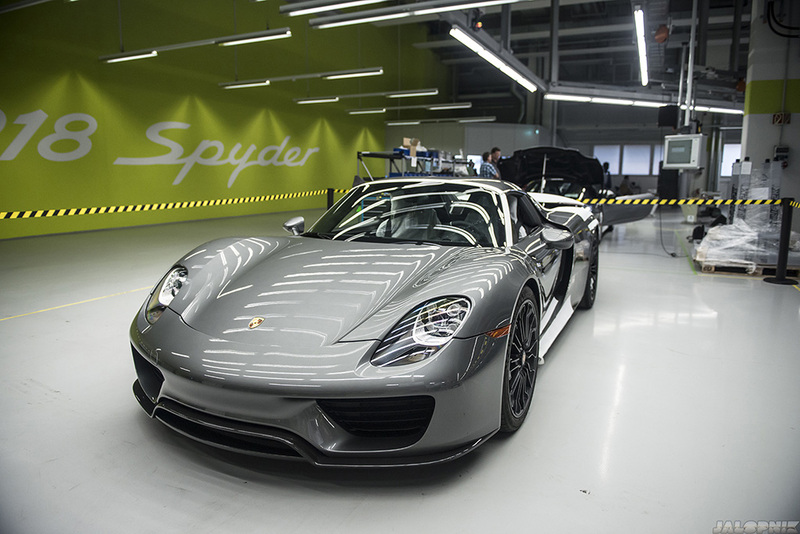 Launch control in a 918 is absolutely mind blowing, it just hooks up and goes!! It felt a lot more special inside the car than I was expecting and I think the technology in the Porsche is probably the most advanced on the three cars. Oh, we hit 213mph on the speedometer… Not a bad passenger ride then. So the big 3 hypercard are done… Lets now talk about the other Hypercars which I think are worth talking about! 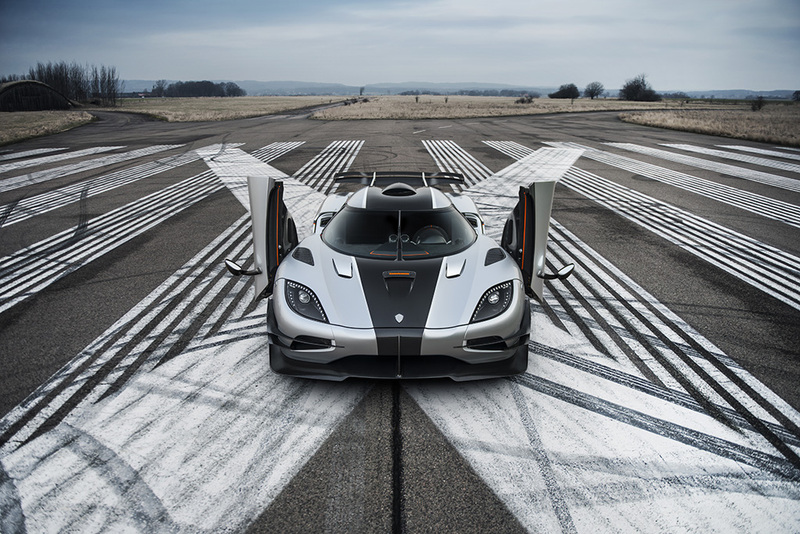 This is the original Hypercar and at the recent VMax it was shown to still be the daddy of the drag strip, setting the highest speed a standard car has ever set. 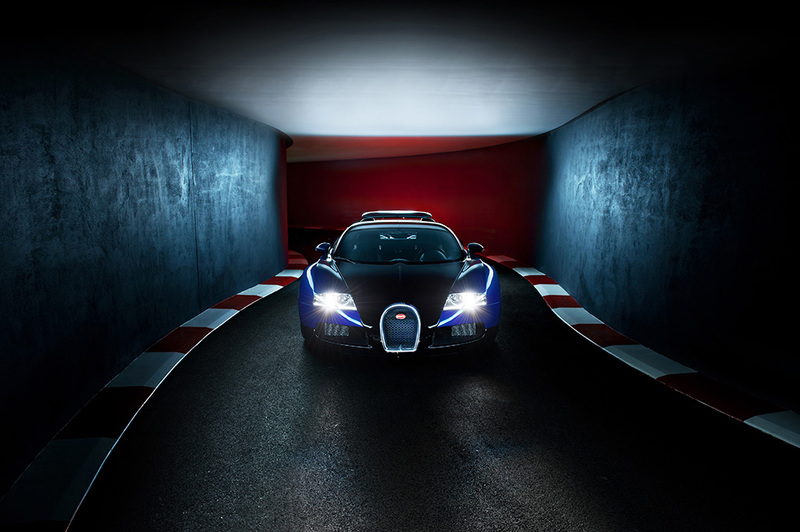 Last year I went out to the Bugatti Factory with AutoZone Magazine and shot this Grand Sport Vitesse. Andy Wallace was driving and took me out for a little ride. 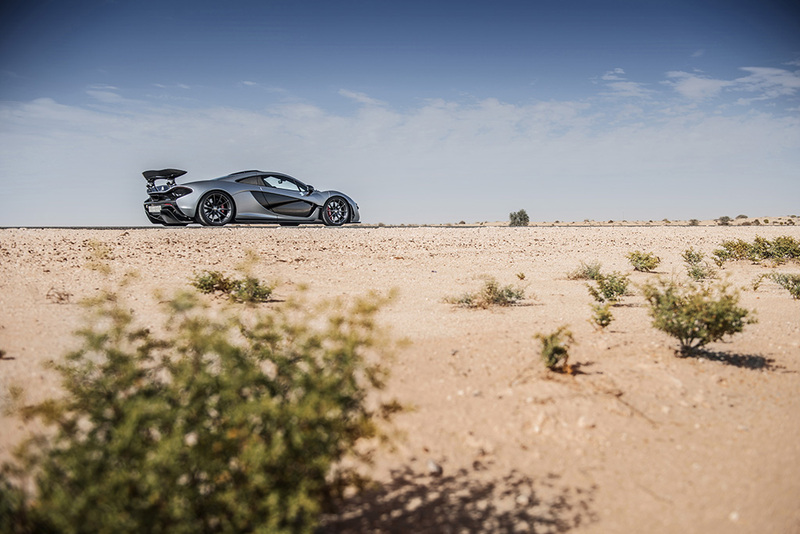 To date I’ve never experienced a car which has so much traction and launches you down a road so fast. It’s just another level. 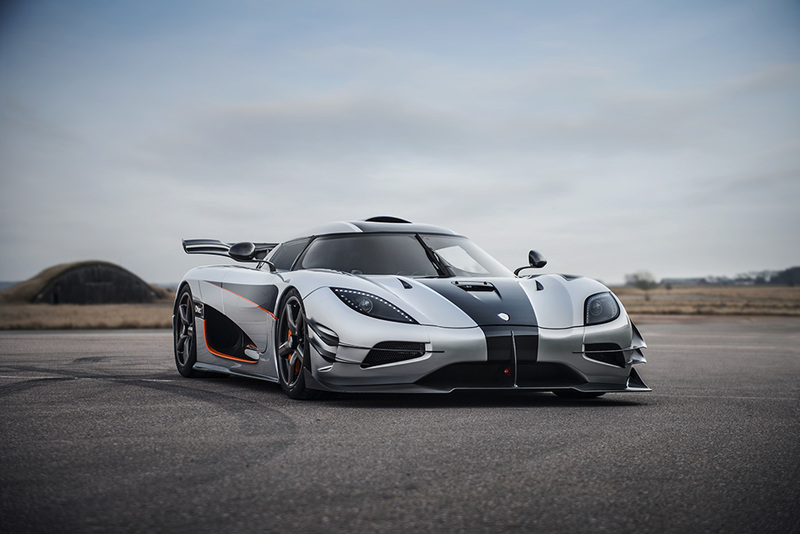 The 3 hypercars above are the ones which get talked about the most but this is the one which deserves the most recognition for engineering achievement I think. In terms of how special a car feels, this is certainly near the top. It’s not the fastest here, but it’s more than fast enough and it’s one of the best looking. It also makes cool whooshing sounds, who doesn’t like cool whooshing sounds? 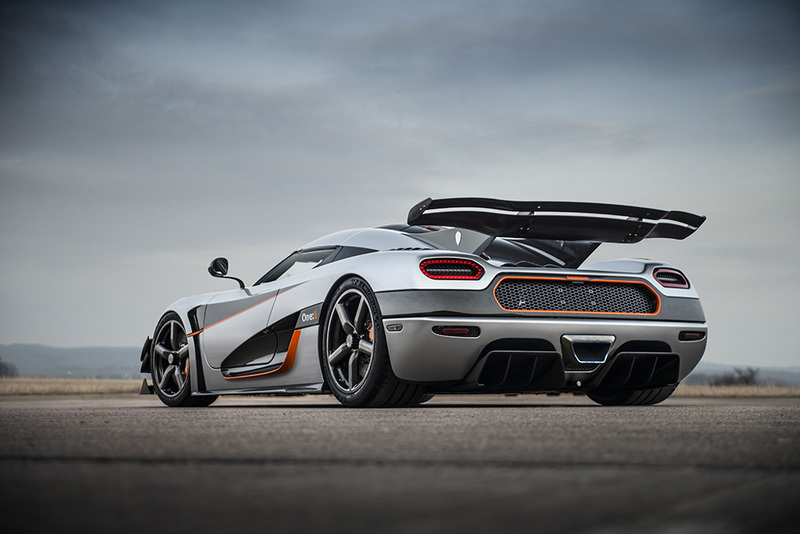 This is the most powerful and I think lightest of all the cars, it has a lot of very clever adjustable aero, adjustable suspension components and is in many ways the most crazy thing ever made. I freaking love it. So I’ve had a ride in the cars above and one thing I’ve noticed with them all is that they’re all so fast that in my opinion the debate of which is fastest is pretty much irrelevant. 99% of owners won’t get anywhere near the potential the car has. It’s a fun debate no doubt and without the competition between the brands I don’t think cars this amazing would ever exist. People often ask which I think is best and which I’d buy if I was in a position to buy one. They’re all very different cars so it’d depend on what you wanted the car for. 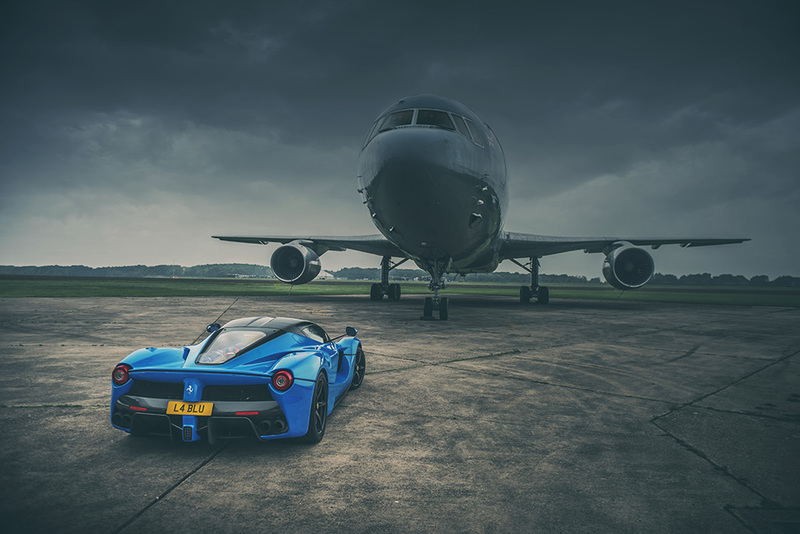 I think the Huayra would be the one I’d pick for a drive to Goodwood on a Sunday morning, the LaFerrari would be the one I’d want to drive on a trackday, the Veyron if I wanted to drive to the south of France, the Koenigsegg if I never wanted to loose a drag race, the 918 if I wanted something that does everything and a P1 just so I could put a pro driver in the car and see how quick it’ll lap the ring!